If you want an idea for a new party game, how about this one? The “mandrilu (mandrill) game” doesn’t need anything other than five or more people, and it’s totally new; it was created and introduced by a Japanese food seasoning company, [W:Ajinomoto]. This is how you play this game. First, the group of people make circle, and everyone says “pa-lila, palila” as they clap hands four times. Then the first person says “man” making “M” with the arms, the person to the left says “dri” making “D” with the arms, and the person to the left says “lu” pointing to someone, who then does a monkey pose shouting “kee” like a monkey. You lose if you don’t do the right gesture or don’t get in to the rhythm. This is the instruction video. To see the rule, start at the 1 minute on the time bar. It shows how it actually goes at the end. 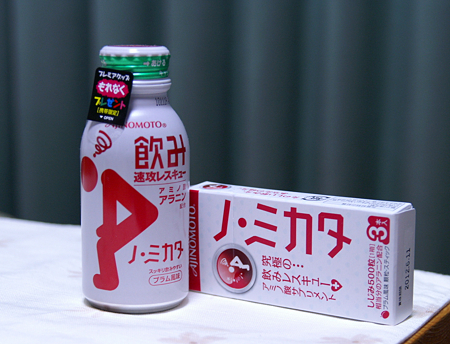 By the way, the game is introduced on the Ajinomoto’s hangover cure supplement, “Nomikata” website. It can be a drinking game and a camping game. So why don’t you add it to your repertory of group games?